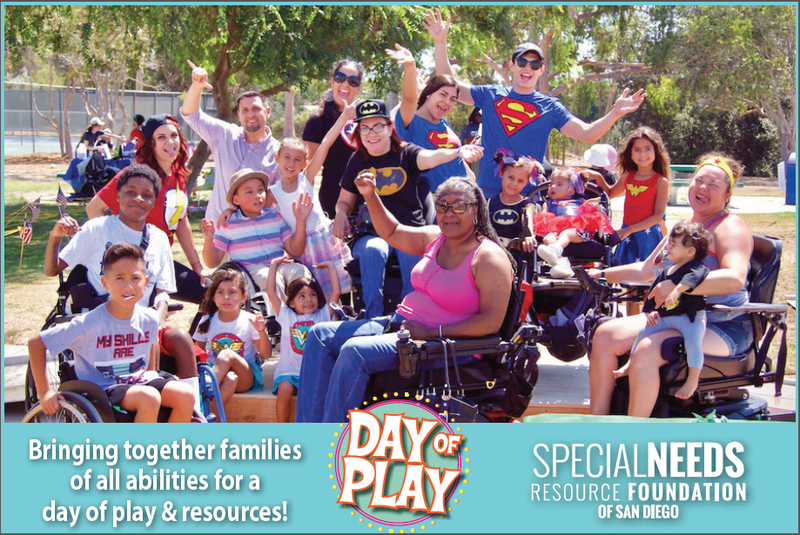 Each year the Special Needs Resource Foundation of San Diego hosts an All Inclusive Day of Play & Resource Fair! 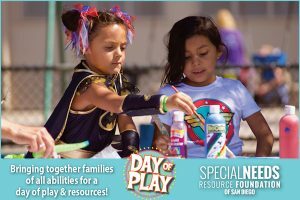 Families from around the county are invited to celebrate the last day of summer and gather information from resource providers for families with all abilities. All activities and resources are FREE and open to the public! 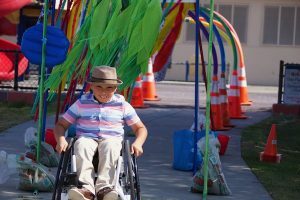 Children of all abilities enjoy playing at activity stations. 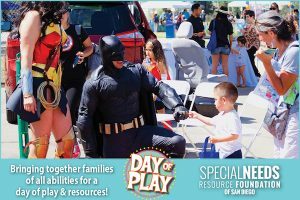 Popular stations from the past events include, Flying Superhero Photo Booth, Mini Car Wash, Wheelchair Awareness Course, Sports Zone, Literacy Duck Pond, V.T. TRACK Car Raceway and more! Throughout our events, guests enjoy a variety of entertaining performances at the All Abilities Stage, such as the Wheelchair Dancers, sports demonstrations and other local dance groups. Resource services and providers for children of all abilities are conveniently on site to speak with parents and provide information. Groups like the Shiley Eye Mobile have been onsite to provide services such as free vision screenings for children. Our 2018 event was sponsored by First 5 San Diego and The UPS Store.